Looking to give someone an escape room adventure as a gift? Use the box below to purchase a gift voucher code that can be redeemed at your Mentor Escape Room using using the "Redeem Gift Voucher" prompts in our escape game booking system. Your escape room gift recipient will simply return to this website to use their voucher code and apply the Mentor escape room gift card, gift certificate or gift voucher amount and continue through the Mentor Escape Room booking process. Contact us with any questions and we look forward to seeing you for your escape room experience! 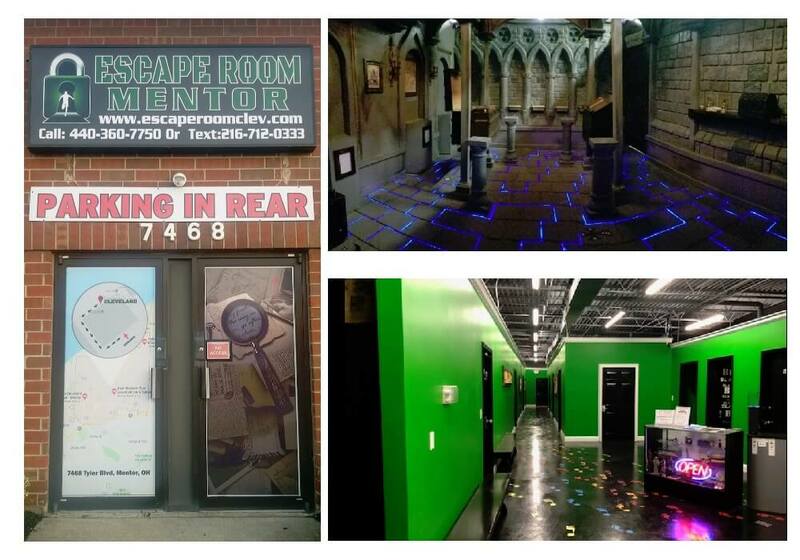 Our newest Cleveland area escape room location, Escape Room Mentor, was just opened in late summer of 2018 with five of our newest, highest-quality escape room games. Unlike anything you’ve ever experienced, our Mentor escape room facility houses the largest and most interactive escape game rooms in the Cleveland area. You and your friends or family members will love the thrill of trying to find clues, solve puzzles, and work as a team in order to break out of one of our 5 rooms in under 60 minutes. If you’re looking for a challenging and unique, fun experience to enjoy with family and friends, Escape Room Mentor is the place to go. Step into one of our escape rooms in Mentor, OH, and you’ll feel like you’re stepping into an alternate reality. Each room contains an immersive experience with various clues, hints, puzzles, and hidden objects working together to help you obtain the key to your escape. If you love adventure and problem solving or you simply want a new, fun way to bond with your co-workers, family, or friends, our Escape Room Mentor is where you need to be. Scroll through actual pictures of the escape room games we offer at our Mentor, Ohio location and click on the game to learn more details about the theme and objective, as well as difficulty level and success rate.